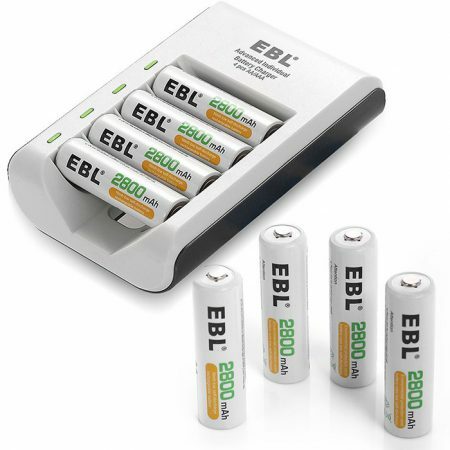 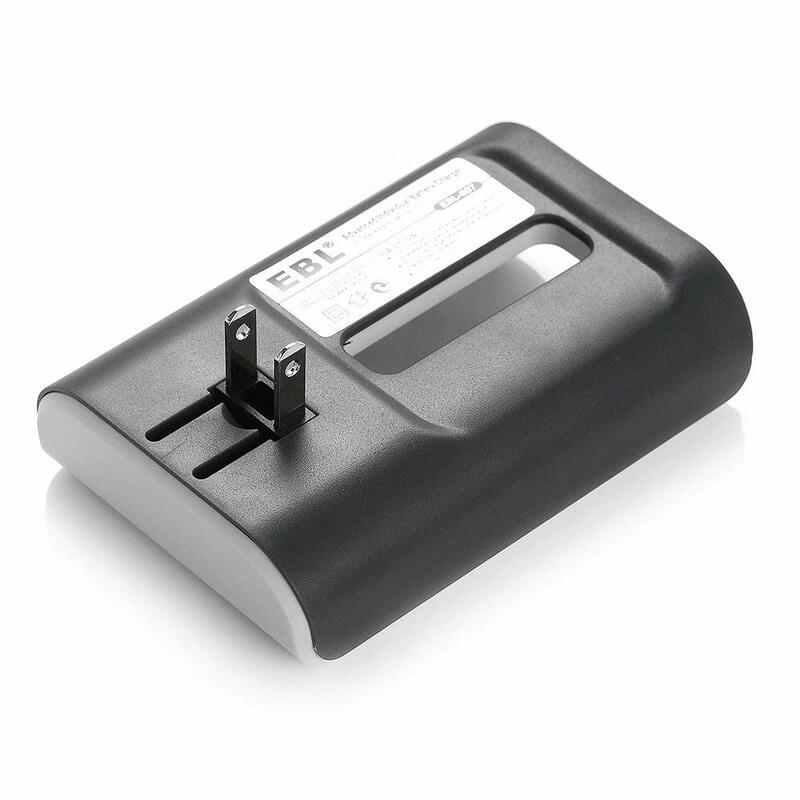 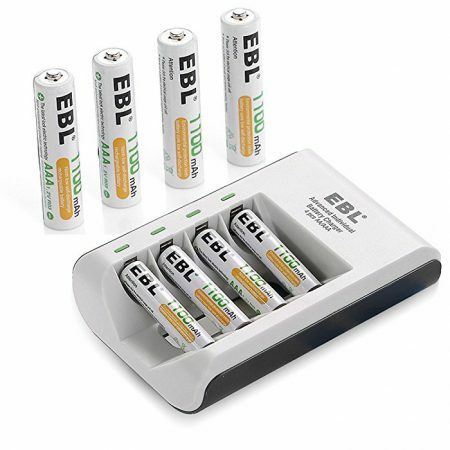 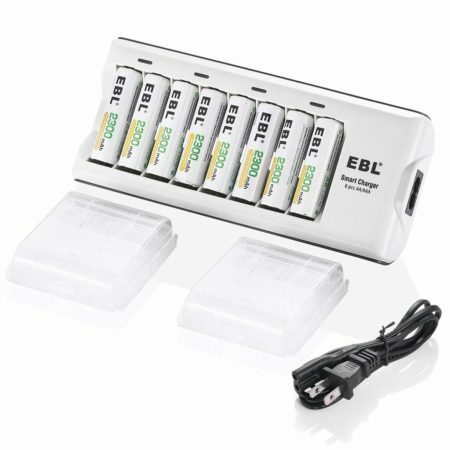 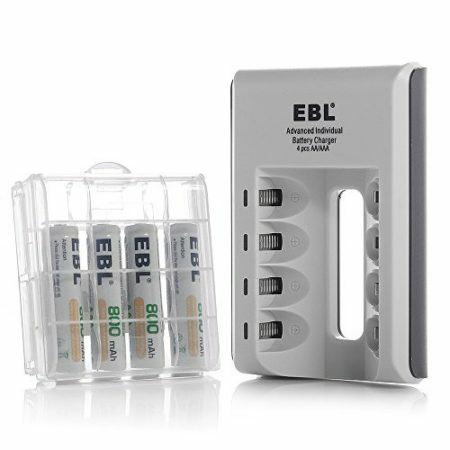 The EBL-807 charger can charge up to 4 pcs of AA AAA NI-MH NI-CD batteries, and each battery can be charged individually. 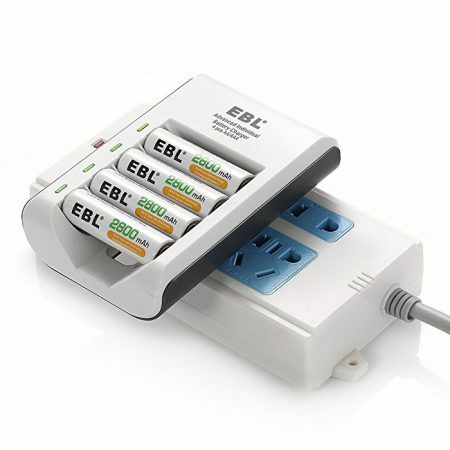 It features AC 100-240V 50/60Hz input for worldwide use, 1000mA output with high efficiency. 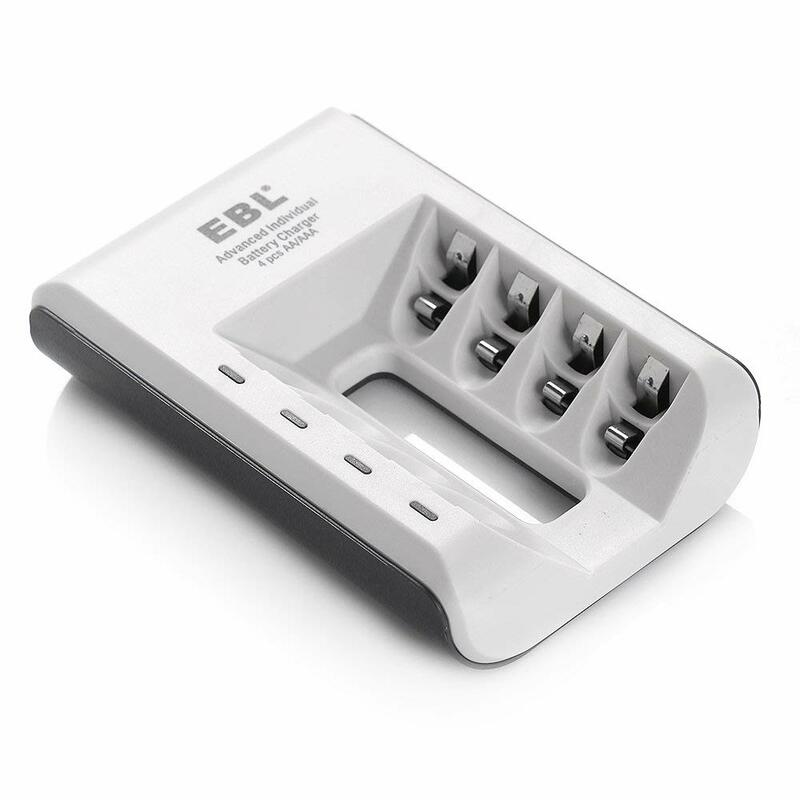 The charger is intelligent and convenient with 4 LEDs that clearly indicate the charging process. 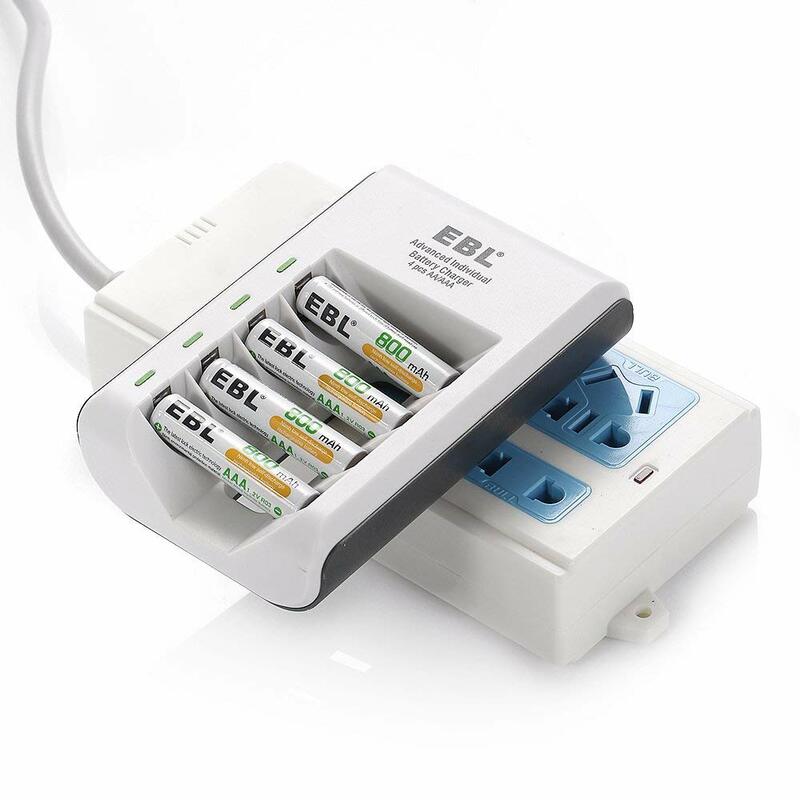 It will automatically cut off when fully charged due to the negative delta V (- ∆V) cut-off function. 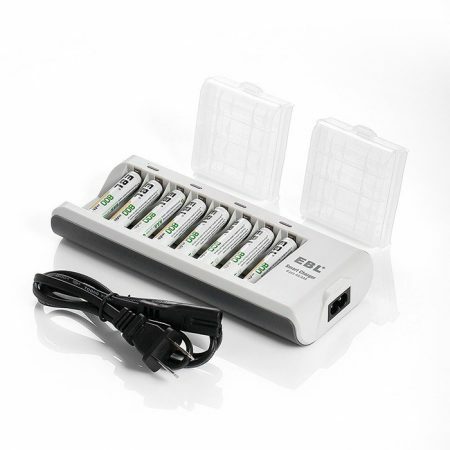 The battery charger combo incudes 4 packs of 800mAh rechargeable AAA batteries. 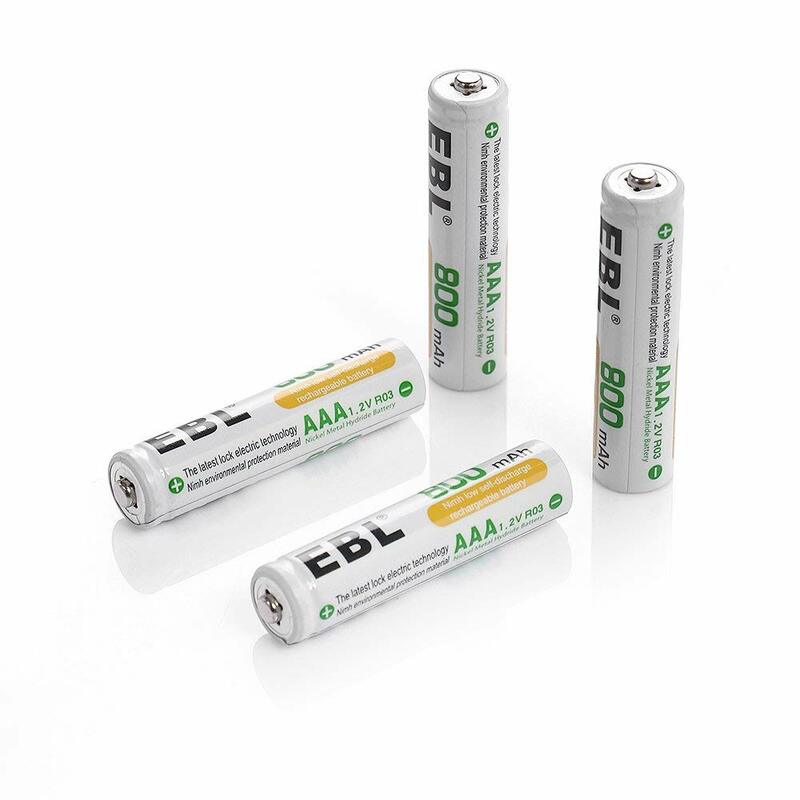 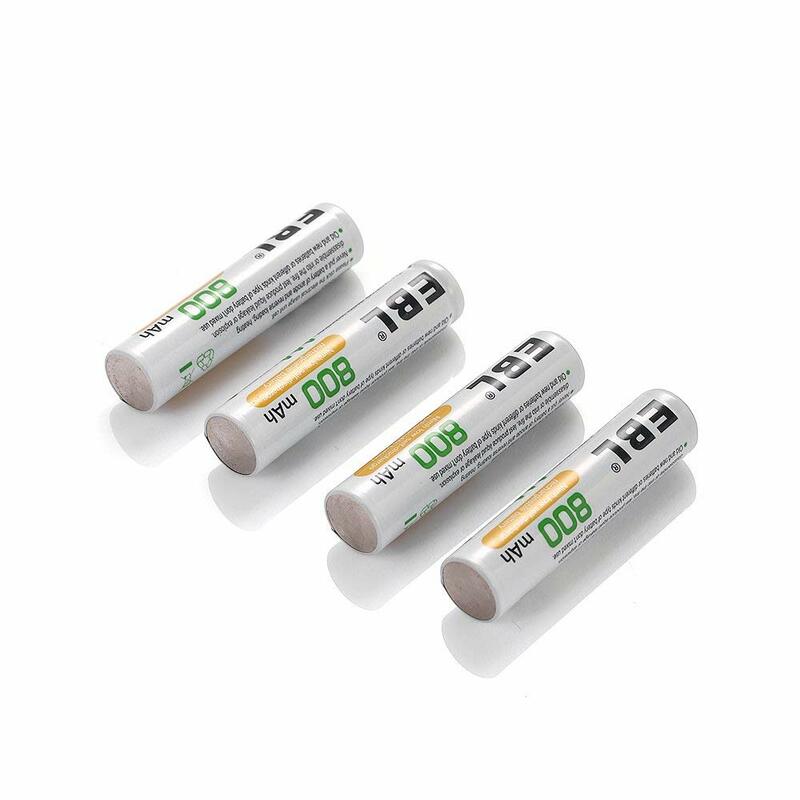 AA and AAA Ni-MH Ni-Cd rechargeable batteries ( Not including alkaline or lithium batteries).